Every little girl needs the perfect St. Patricks Day outfit! 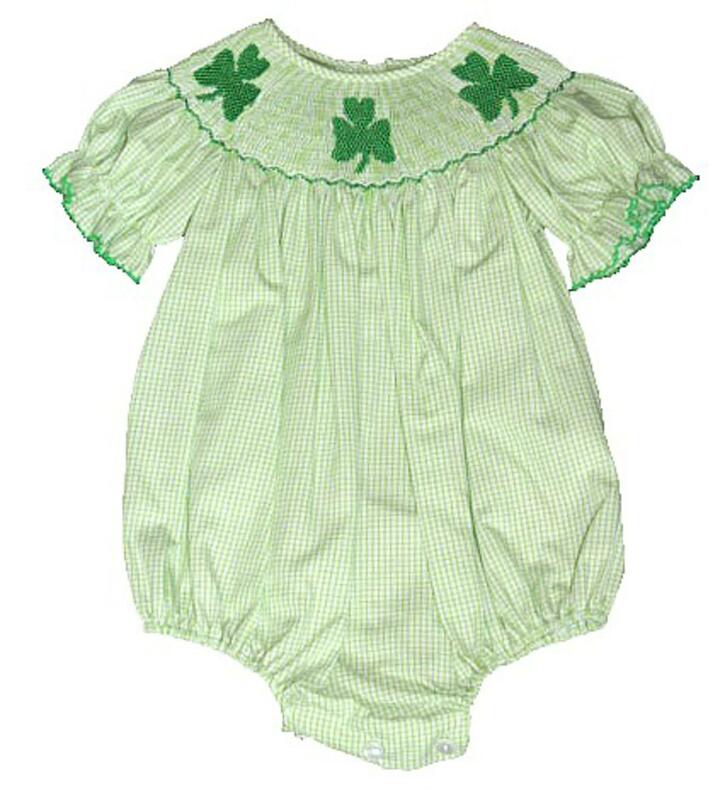 This green and white ginham check bubble has handsmocking on the neckline with three shamrocks. The shortsleeves have ruffles off the puff sleeves and green picot trim. There is buttons on the inside of the legs to accomodate diaper changes and buttons down the back to get over a childs head easily. This super comfortable outfit is 80% cotton and 20% polyester.